By David Ponce on 04/16/16 • Leave a comment! The following article is brought to you by Hoverwatch. -Ed. Would like to know what your kids are messaging about? Want to make sure your beloved do not cheat on you? Need to improve the workflow of your team without bothering your head? 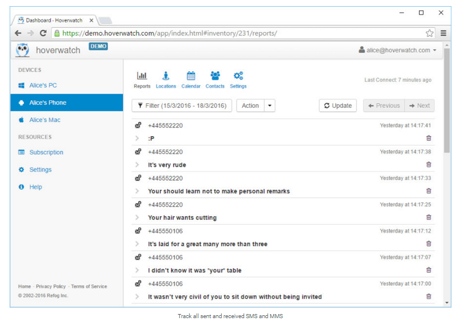 Do it easily with the help of this great sms tracker! This simple yet effective application gives you a great opportunity to spy anyone you want without being noticed or detected. It is specially designed to give you a great surveillance option within minutes. Just try it today and you will like it! By David Ponce on 03/15/16 • Leave a comment! The following article is brought to you by Nix Solutions. -Ed. Trivial business problem solving methods usually do not consider the crucial characteristics of the certain business enterprises: performance bottlenecks, internal and external factors, special management requirements and clearly defined goals. NIX Solutions company, founded in Kharkiv, Ukraine, provides various software products and services for domestic and foreign businesses, helping them to find appropriate solutions according to the certain requirements and needs of the customers. NIX Solutions approach to the mobile applications development provides integrating with the customer’s business: the strengths and weaknesses of the enterprise determination, the search for common and highly specialized solutions tailored to internal and external relationships of the enterprise, that allows to develop unique and efficient programs and applications. By Hazel Chua on 07/17/15 • Leave a comment! 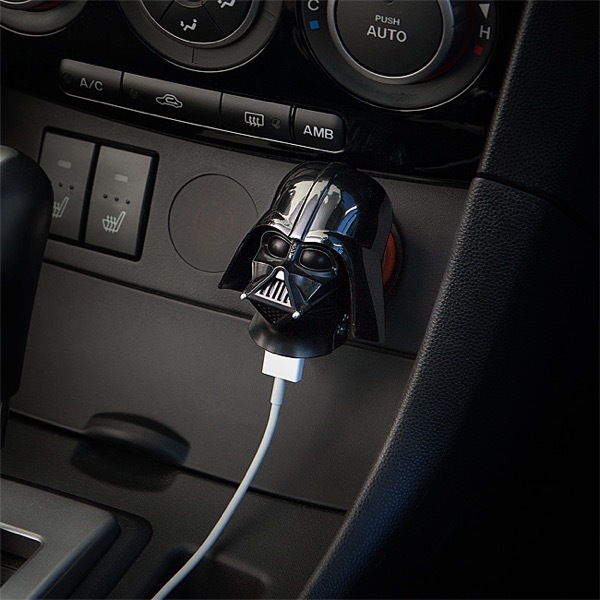 Darth Vader isn’t the nicest guy on the planet, but he can be a lifesaver too– specially when he comes in the form of this ultra-cool car charger. Just plug it into your car’s cigarette lighter and hook it up with your compatible cable to charge your phone or mobile device while you’re on the go. It works with anything that charges via USB, which should be almost all smart devices these days. Channel the power of the Dark Side with this charger, available from ThinkGeek for $19.99. By Hazel Chua on 07/15/15 • Leave a comment! Power is something that most people can’t seem to get enough of. We mean power in the electrical sense, in case you were thinking of something else. Whether you want to play one more round of Flappy Bird or are working on some last minute projects, a little bit of extra power can go a long way. If you’re in the market for an external battery, then you might want to check out the Power Vault Portable Battery Pack while it’s 72% off. For a quarter of the usual price, you’ll get a powerful, 18,000 mAh rechargeable battery that comes with two USB charging slots so you can charge two devices at the same time. It’s currently on sale for $29.99. Can your scooter do what the Daak Photon Solar Boombox Scooter can? First of all, it does everything the average electric scooter can and more. It has a built-in solar panel, so it harnesses the energy of the sun whenever possible. 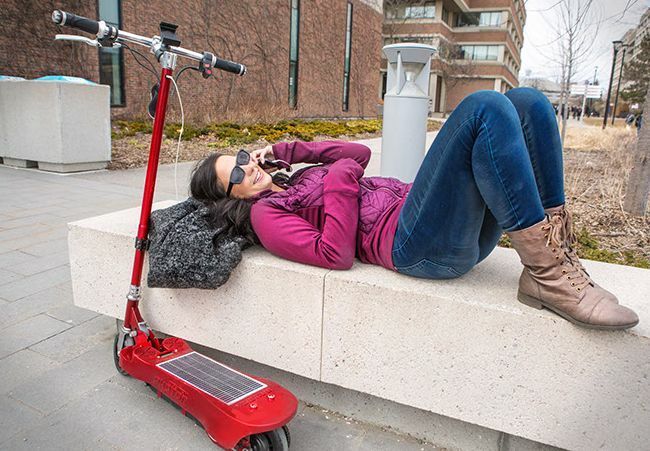 In case solar energy isn’t enough, the scooter then draws power from its battery. It also functions as a powerbank, which means you can use it to charge up your smartphone, tablets, and other mobile devices. It also has a built-in speaker so you can play your favorite beats while you scoot along. By Hazel Chua on 07/08/15 • Leave a comment! 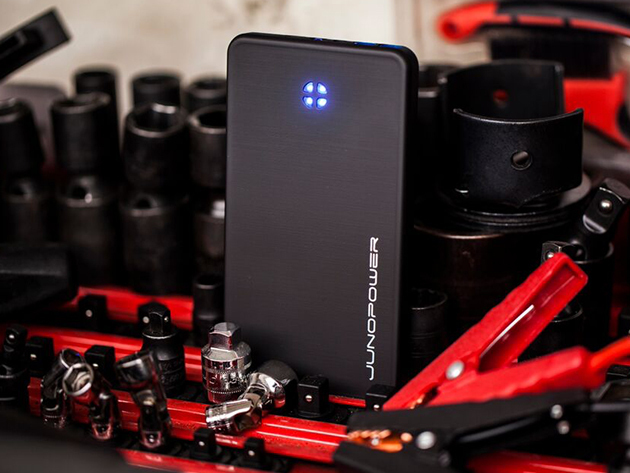 Whether you need power for your phone or for your car, the JUNOPOWER Portable Jump Starter has got you covered. It’s an external battery pack with a 6,000mAh capacity that can not only provide your mobile devices with some much-needed juice, but also jump start your car battery in minutes. You’d think something like this would be incredibly bulky or weigh a ton, but the JUNOPOWER is neither. The JUNOPOWER has a built-in flashlight and works with a built-in power management system to protect your devices. It also comes with proprietary SMART jumper cables out of the box, and for a limited time only, you can get it at a quarter off regular price at $74.99. By Hazel Chua on 06/26/15 • Leave a comment! 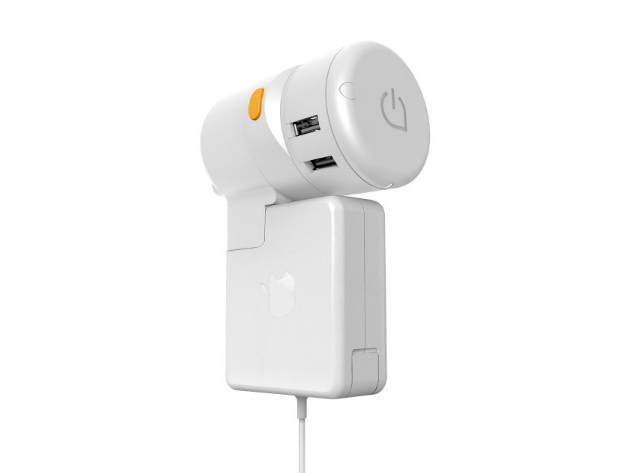 If you find yourself packing your travel bag with all sorts of chargers and adapters, then it might be time to get the Twist Plus World Charging Station. It’s an all-in-one adapter that lets you charge most Android and iOS devices without having to bring any extra wires or plugs. 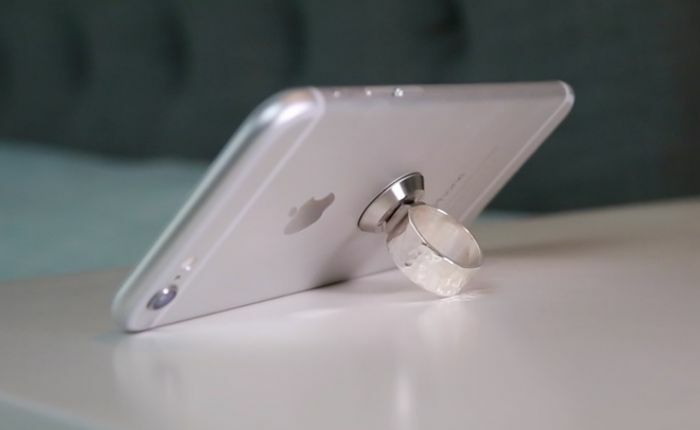 Just connect it to an Apple power adapter and you’re ready to charge. 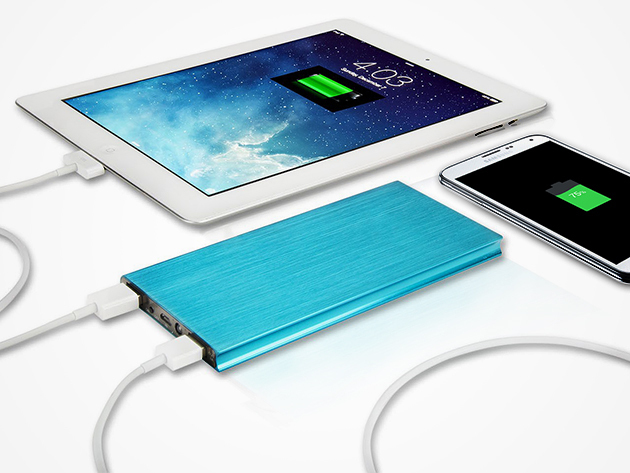 The Twist Plus comes with a total of five ports, so you can charge up to five laptops, phones, or tablets in one go. It’s light and compact, plus has a built-in fuse protection as an extra safety measure. It’s currently on sale for $34.99, so grab one (or two!) while it’s at 33% off. By Hazel Chua on 01/20/15 • Leave a comment! Oral hygiene is one thing you should never ignore. Brush, floss, gargle, and make sure you’re doing it right– and doing it enough times. A good way to keep track of it is with the Breathometer Mint. It’s a portable oral health monitor of sorts, as it monitors and keeps track of your overall hydration and oral bacteria level. The latter sounds strange, but it makes sense, because it’s probably all that bacteria that’s making your breath smell rank. To use it, just stick the Breathometer Mint into your mouth. 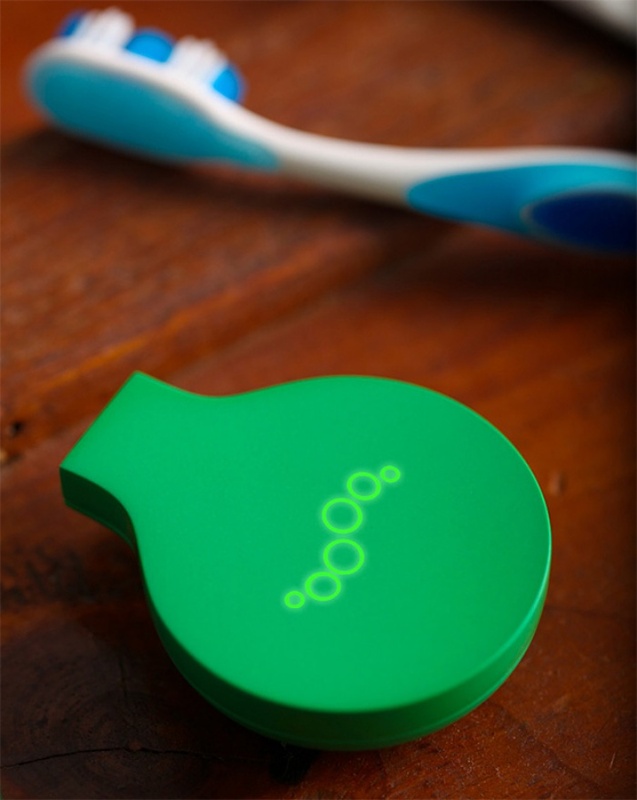 It’ll take a sample of your breath and give you results about the state of your oral health within a few seconds. It’s currently up for funding, where a minimum pledge of $89 will get you one of your very own.